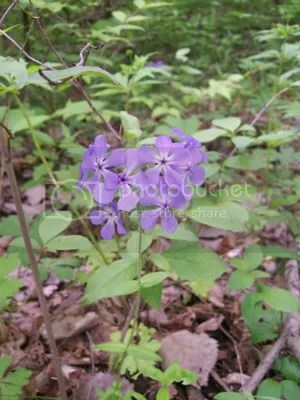 Let’s Paint Woodland Phlox! – Let's Paint Nature! Step 1: Make a sketch in pencil. I am using hot press watercolor paper, very smooth. 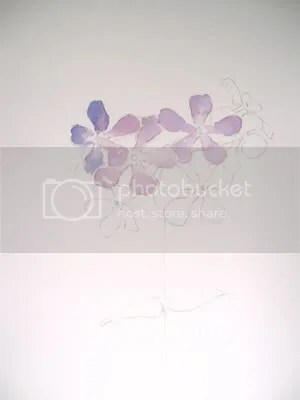 You might want to pull your hair out when you see all those petals as you’re sketching, but don’t worry, here is a tip: draw every flower in relation to the flower next to it. What does that mean? 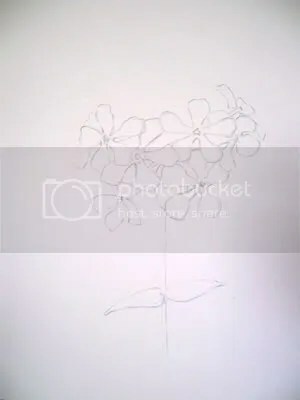 Well, when you draw the first flower ask yourself a few questions before drawing the next: Is the next flower behind the first? Is the next flower lower than the first? Do the petals touch? 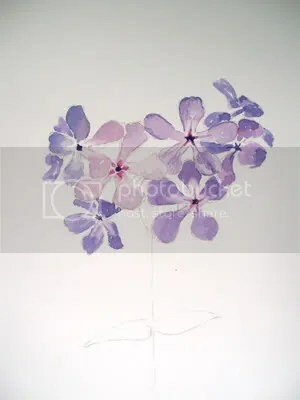 Do the petals overlap? If you go slow and think of everything as a simple shape you will be successful. Step 2: I am using a mix of cobalt blue and perm. rose. The petals in the front will be lighter than the ones in the back. The darker petals will have a little more cobalt blue in them as well. Make sure to leave the center white. Step 3: The petals in the back and under are a little more blue. A few flowers in the top back do not even look like flowers. You have to stay away from what your brain knows of a “flower” and stick to the shapes you can actually see. Step 4: When your painting is dry, mix a deep purple using indigo and rose and using a small rigger brush, paint the center (it has a star shape). 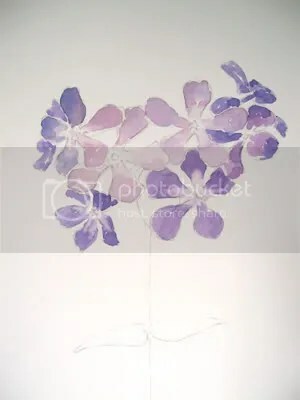 Some of the centers are more rose than purple, so I repeated that in my painting. Step 5: Deepen the color of petals with a mixture of much cobalt blue and less rose. Do not cover the entire petal, only the edges. You can soften harsh lines with a clean damp brush. Make sure the brush is not too wet or you will mess up the dry layer below. Paint the leaves and stem with yellow and green. Step 6 Final: I like to outline with a Micron black pen. It really gives it definition, however you do not need to outline if you do not want. I added more shadow where the petals overlap to give it a 3-D look. 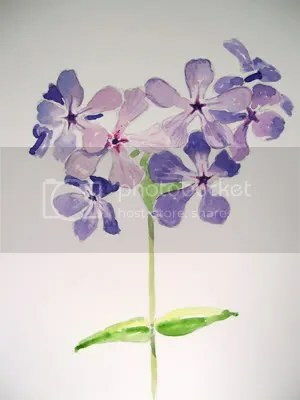 I hope you enjoyed this step by step demonstration on how to paint the woodland phlox in watercolors! I just put one up (well, not a tutorial, but a painting anyhow) of Dames’ Rocket, but I’m afraid my drawing wasn’t quite up with yours. Anyway, fun to do. I finally got my art room ready to use! Now if only we can have Spring–or even kinda spring would be nice. There are apple blossoms in the city, but they’re almost a mile lower in elevation. I’m sure our time will come someday. I do have daffodils, though! I like the Micron pen outlining. It’s not always the look you’re looking for, but it’s a great tool for when you want it, and it’s great with your phlox. 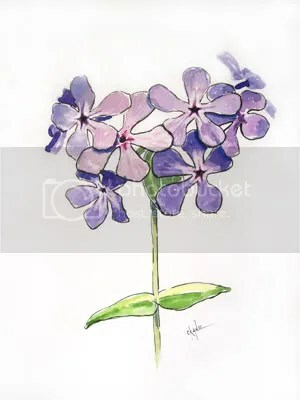 I think watercolors are perfect for depicting flowers, y’know? The way the colors flow together. Just lovely.